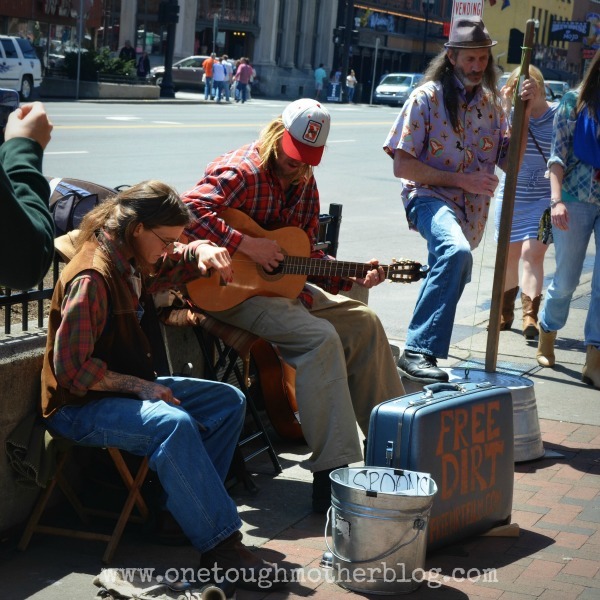 The hubby and I took a quick trip to Nashville, Tennessee, last weekend for our anniversary. Glamorous and romantic? Nope. But a nice change of scenery and a good excuse to take a mini-vacation? Yep. Here’s the story: My husband works for a major airline, which means we fly free anywhere they fly…as long as we can get on the flight. Now, he’s worked for them for 18 years, so his seniority pretty much guarantees us a seat as long as the flight isn’t super booked. However, traveling on the weekends can limit us a bit as to our location of choice. Sundays are busy flight days, so it’s a little more difficult to get home. Hence our choice of Nashville, TN. Originally, my amazingly awesome husband wanted to fly me up to Maine to have a lobster dinner, then fly me home…a la Julia Roberts in Pretty Woman. Well, we couldn’t make that work, so we searched flights and random cities, and Nashville, to me anyway, looked like a pretty cool city. Not so much. We were both less than thrilled with Nashville. First of all, Mark and I are both big fans of country music and it’s history. Music Row no longer exists – it’s now a street full of doctor’s offices, lawyer’s offices, and the like. Very disappointing. We drove around and around – even turning the wrong way down a one-way street at one point due to some serious road work in and around the City Center that is under construction. Finally, a strip of businesses caught our eye, so we parked the car and started walking. 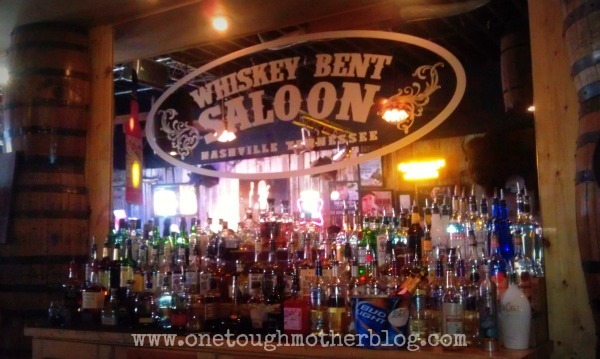 We did stop into one bar to wet our whistle, Whiskey Bent Saloon. The live music was pretty good, if you like listening to George Strait covers all day (which we don’t). We continued to wander the streets for a bit, and did enjoy some of the old music stores. I was hoping for more record stores, rather than CDs, but nonetheless, the variety in the selection was awesome. After roaming the streets for a few hours, we decided to try our luck at the Country Music Hall of Fame. The cost of admission was $20 per person. Now, the memorabilia inside was pretty cool, but I’m really not sure it was worth $40. 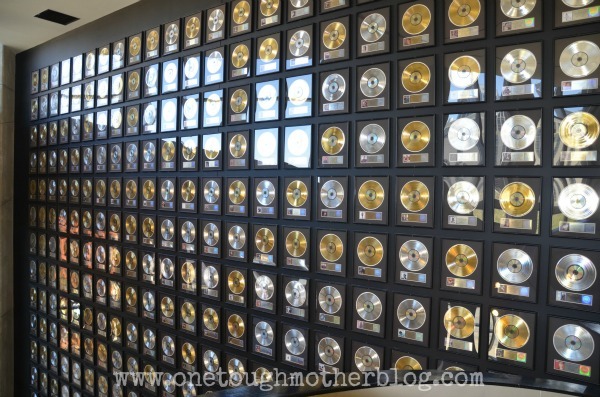 I was really impressed with the HUGE wall of gold and platinum records on display. The photo above is only a minimal portion of the records on display. One of the coolest rooms in the Hall of Fame, to me, was a room lined with hand-written manuscripts and song lyrics by some of the greats of country music. The manuscript above was written by Merle Haggard. It is the lyrics to “Today I Started Loving You Again”. Seriously cool. 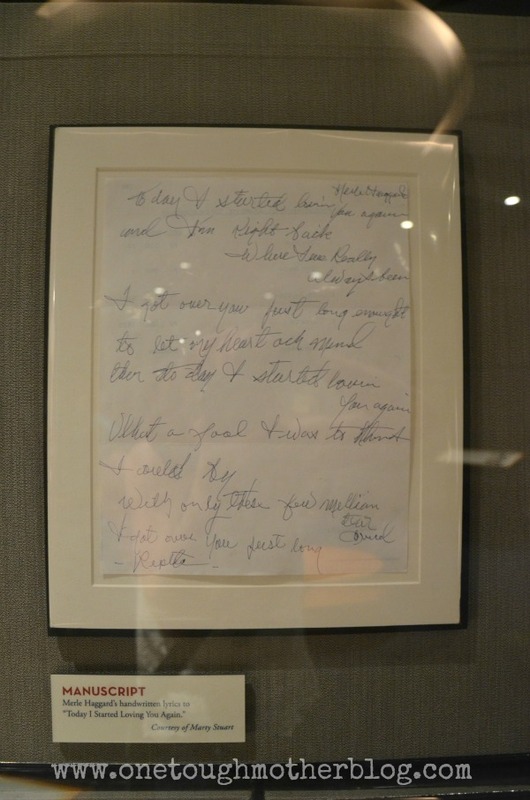 There were also letters written by both Johnny and June Carter Cash, among others. Finally, our tour of the Hall of Fame ended in the circular room that houses all of the Hall of Fame awards. Every member of the Hall of Fame fills these walls, from Willie Nelson to Elvis Presley to Hank Williams to more recent stars such as Garth Brooks. 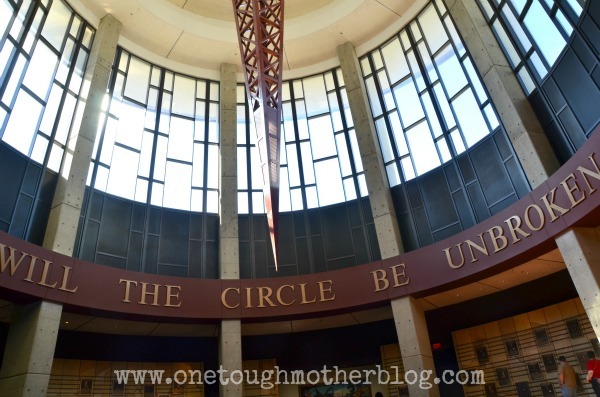 The ceiling was the most impressive part to me, and the words to that beautiful hymn, “Will the Circle be Unbroken”. I’d love to tell you we had a fabulous dinner and heard awesome live music, but I ended up spending our Saturday night in the hotel…sick. Joy. My husband spoiled me rotten, though. He didn’t mind a bit. 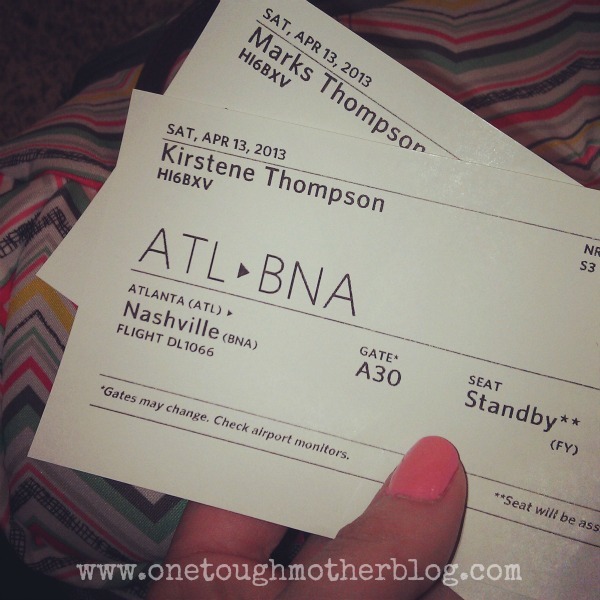 We hopped the first flight back to Atlanta the next morning. Spending less than 24 hours in Nashville was fun, I’ll admit that, but I don’t think we’ll visit again any time soon. It was really cool to just escape for the weekend, just the two of us, and go somewhere we’ve never been. It was even fun going the wrong way down a one-way street, me clenching the passenger seat screaming, “NO RIGHT TURN! NO RIGHT TURN!” while Mark tries to turn into the first parking lot he could get to before the oncoming traffic got to us. Then laughing hysterically in that parking lot at the ridiculousness of it all. 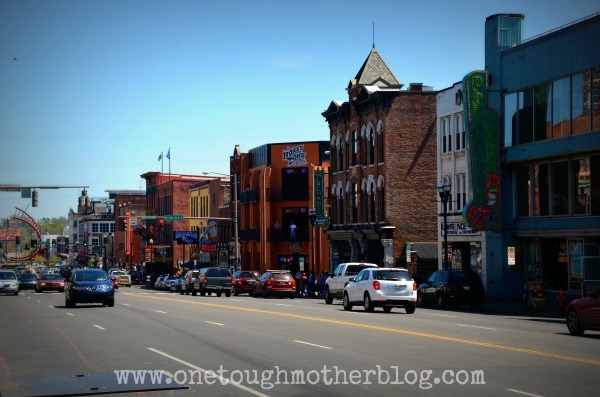 Have you ever been to Nashville, TN? What did you think of the city? What’s your most interesting vacation memory?